Documentation can be a bear if you are not following a traditional curriculum. And while kids are young it might be something that you do not have to be too particular about depending on where you homeschool. Florida has pretty lax homeschooling laws so we have not maintained transcripts. As kids get older though it becomes more important. To enter certain classes, programs or high schools kids need transcripts. I am getting around this by writing narratives, but it is a little exhausting and I can see how more typical transcripts would make my job much easier. I am learning this one as I go along. Below are some ideas for keeping track of what you do and I welcome your ideas and strategies on this topic in the FB group. Keep a homeschool journal. I love journaling what we are doing. A few pictures and notes taken as activities are happening are a wonderful record to have. You can read more about a homeschool journaling practice here. I hope to deepen my journaling practice in regards to homeschool and family learning this fall. Blogging can be a record of activities. You can have a private blog that you share with your evaluator or make something public that can connect you to a bigger community. My own blog has changed over the years, but I am always surprised when I look back and see what we have done that I have forgotten. It is a part of my record too. Keep a portfolio. A three ringed binder with examples of work, lists of books read, certificates for classes completed and other paraphernalia can serve as documentation. Throw it all in a box. I also have big archival boxes in which I keep papers, art projects and other projects my kids make. I plan to winnow this down as it fills. The paper flood can be overwhelming and knowing that everything is somewhere safe is reassuring. Try the envelope method. I recently read about a method which sounds like it would work nicely for corralling documentation. The author used big mailing envelopes for each subject. She wrote on the outside of the envelope: name, subject and grade, and dates. When a course was done she could seal it and store it in a filing cabinet. This seems like it would work really well for workbooks, classes with testing, or traditional curriculum. Write it all on a calendar. I save my calendars as they provide a record of subjects studies with our homeschool co op, plays attended, trips taken, field trips, and more. 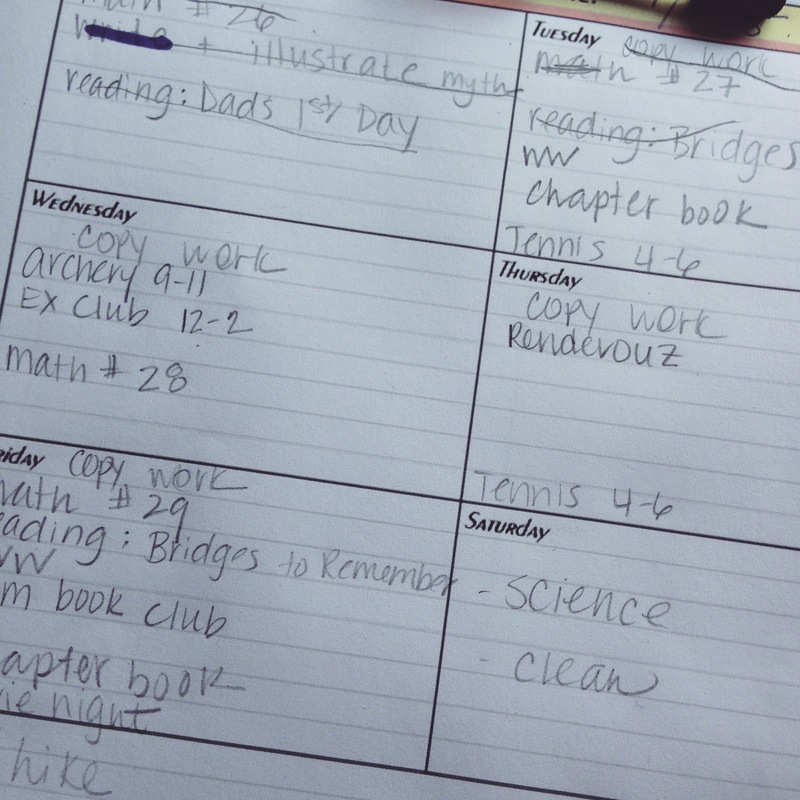 If you have a planner with extra pages you can keep book lists and lesson plans in your calendar too. We can share planners and organizers in the FB group today. I have tried many and even made my own. Their effectiveness, like everything else, seems to evolve and change as my kids' learning changes. How are you currently keeping track of learning? What would you like to add/subtract from your method? Is there something you can do today to move towards your goal?